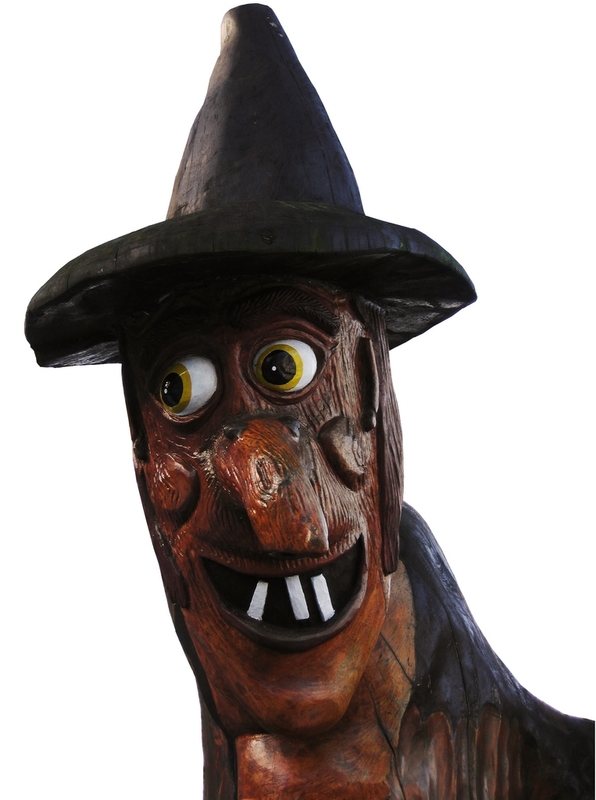 One of the best Halloween props comes straight out of the Wizard of Oz movie: talking trees! 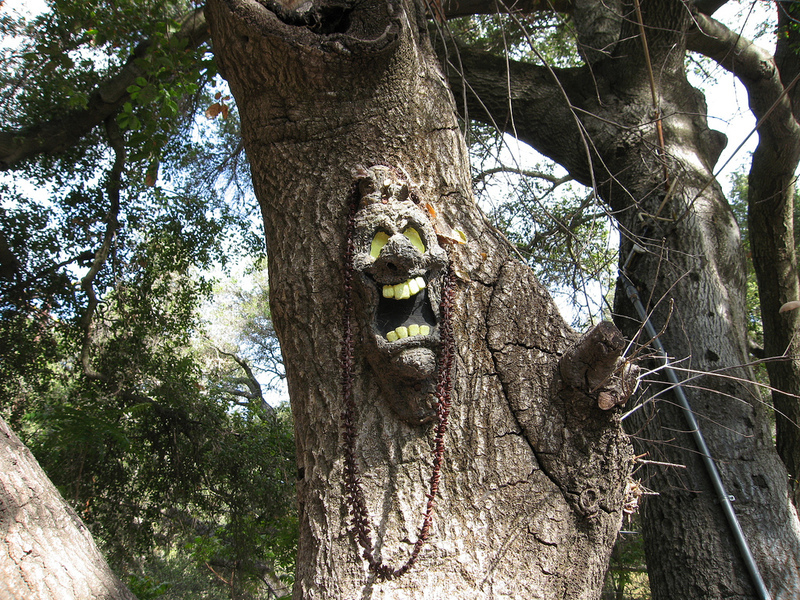 If you add a talking tree to your Halloween decorations at home, anyone who walks by it will be in for the surprise of their life! Have you ever wondered how the pros create such life-like features when they create talking trees? 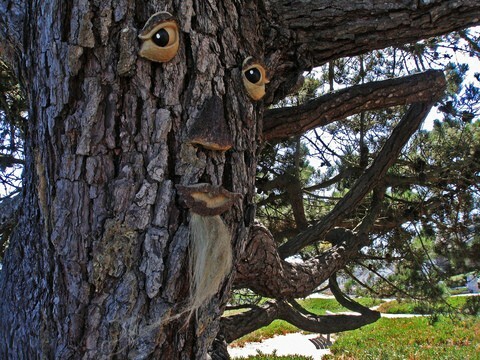 What about talking trees with moving eyes? 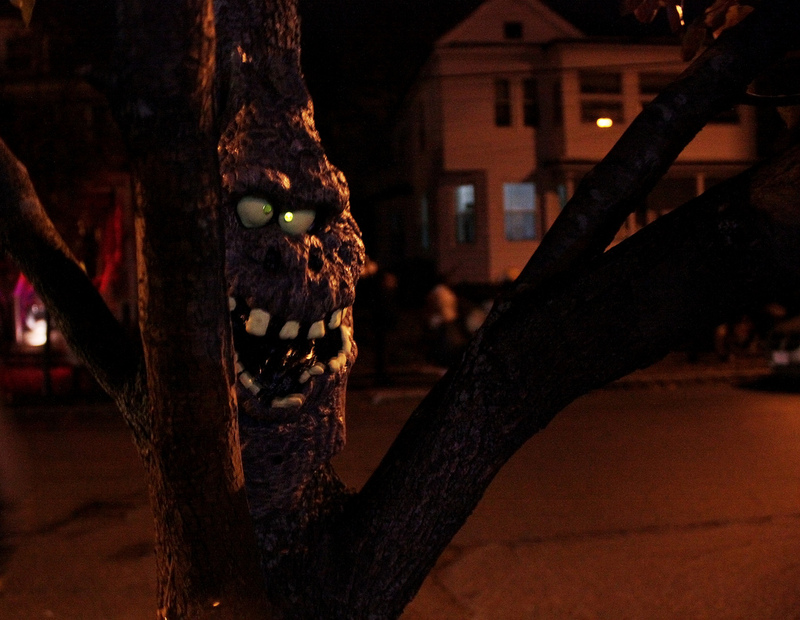 Or maybe just make it so the eyes are lit up on one tree. 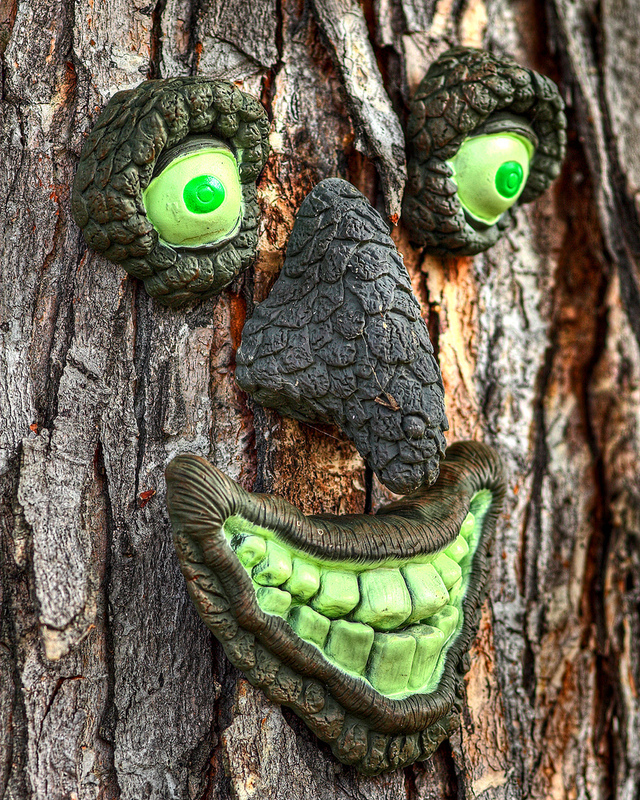 This video shows how an Animatronics talking tree comes to life. Follow the entire construction process — from the basic metal frame to a fully functional talking tree. It looks so real when it’s done! The tree in this video looks completely real, especially since it’s not cartoonish in nature. It look like a real pine tree that you would see in anybody’s front yard! 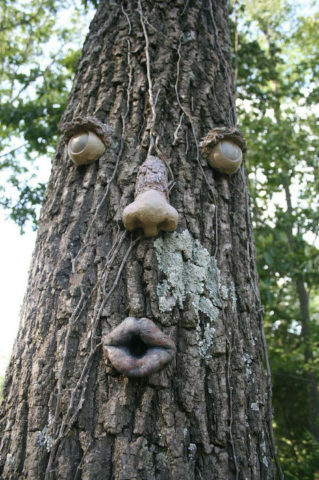 Next, here are some trees that talk without using any sound. 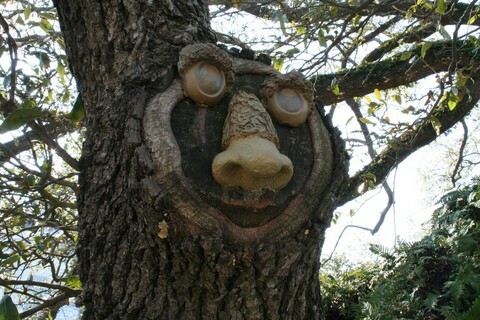 These are hand-carved trees! 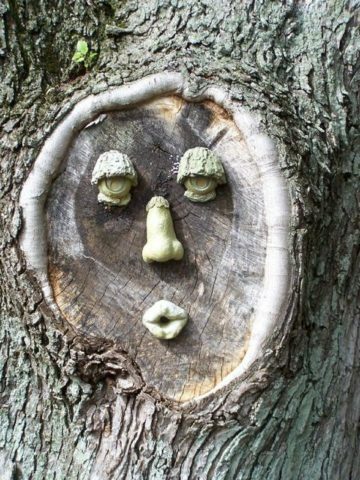 Yep, another way to turn your trees into works of art is to literally carve a face into a tree. 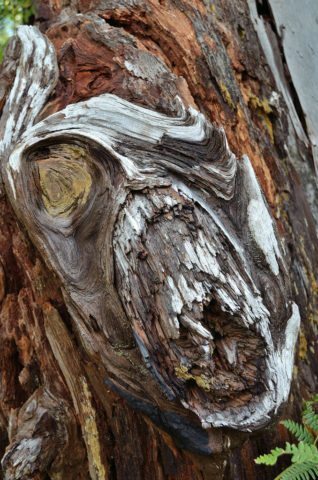 It’s a great way to bring an old tree back to life. 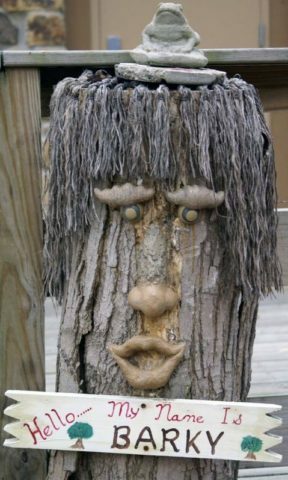 Depending on your skills (and the tools you have at hand), you may be able to create a conversation piece like this for your own yard! Or maybe you only want to carve the face part itself. 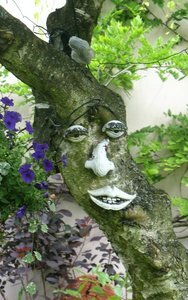 Tree faces are the simplest way to bring life to the trees on your property. The best part: they’re not only great during Halloween, but they also add an interesting touch that can be effective year-round. Got really large trees on your property? 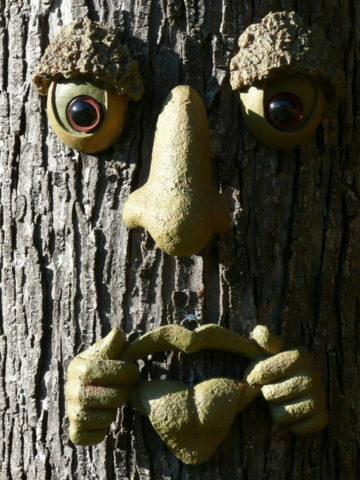 Check out these realistic looking tree faces that come in small, medium, and large sizes — great for older, larger trees. 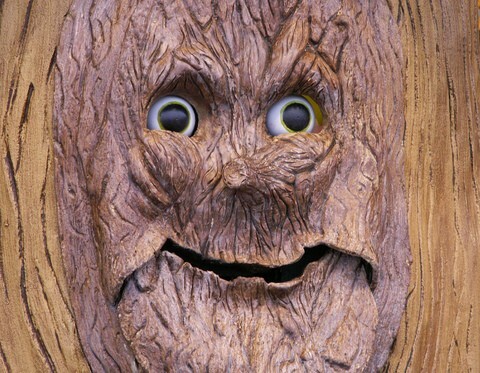 This talking tree face is motion-sensored, so it’s activated any time someone walks past the tree. It has lighted eyes, lips that move when he speaks… so cool! Passersby will definitely be startled into thinking he might be real. Along those same lines, you could always camouflage a person (or a few people!) to blend in with the trees in your yard. It would also be fun to frighten people that way!